Renowned for their creativity, Barber and Wallace bring you WOMM ideas that will help you turn your existing library patrons into a major marketing force. Peggy Barber was Associate Executive Director for Communication for the ALA, where she managed and implemented marketing and communication programs, including external relations and membership development. She established the ALA Public Information Office, Public Programs Office and the ALA Graphics program, including the widely known "Celebrity Read" poster series. She worked to implement the universal library logo that appears on streets and roads across the country. She also launched the association's development program and served as the first executive director of its foundation. 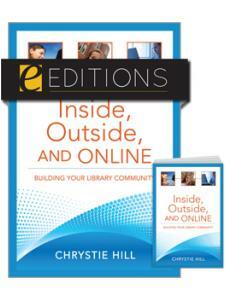 She is co-author with Linda D. Crowe of Getting Your Grant: A How-to-Do-It Manual for Librarians (Neal-Schuman). Barber received the Lippincott Award for distinguished service to the library profession in 1999, and was honored as Alumni of the Year in 2001 by the Rutgers University School of Library and Information Science. Her current work as a consultant is focused on marketing and communication support for libraries. Linda Wallace is co-founder and partner of Library Communication Strategies, a consulting firm for libraries. She was formerly director of the ALA's Public Information Office, where she developed and implemented creative strategies for National Library Week, Library Card Sign-Up Month, Teen Read Week and many other public awareness campaigns. 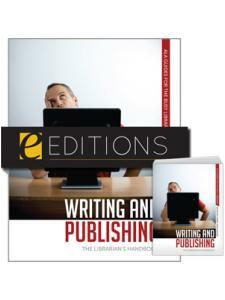 Wallace is the author of Libraries, Mission and Marketing: Writing Mission Statements That Work. She has written and edited many other ALA publications, including the Campaign for America's Libraries @ your library?toolkits for public, school and academic libraries. A journalism graduate of Ohio University (Athens), Wallace worked as a newspaper reporter before becoming community relations coordinator for the Mideastern Michigan Library Cooperative, a system with more than 40 urban, suburban and rural public libraries, based in Flint. She received two Addys and two John Cotton Dana special awards for her work there and was named "Librarian of the Year" by the Flint Area Library Association. "The book resulted from a project undertaken by two regional library systems in Illinois that applied for and received Library Services and Technology Act (LSTA) grants for training, planning support, and information resources on word-of-mouth marketing. The authors, hired to lead training sessions and provide advice on project development for the 35 libraries participating in the project, wrote this book so that others could benefit from the experience. 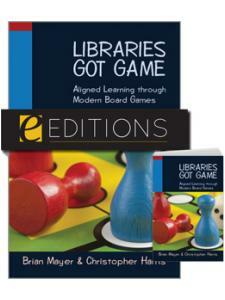 It is packed with examples and includes reports from 15 of the participating libraries." "I wish I had this book when I started my career. Now, 25 years later, I've found it to be a valuable tool that I'll use throughout the remainder of my career." "Librarians know that advocacy is a daily effort to keep people aware of a library's value and resources. The ideas provided by two well-known marketing consultants who know libraries make this a compact, useful, cost-effective tool that is needed in these tough times." 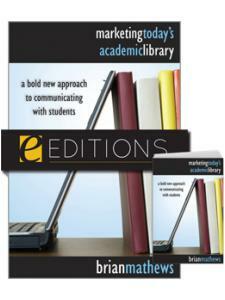 "A suitable purchase for any library that needs to improve or expand its marketing efforts." "Examples are given of the day-to-day concept of WOMM and the marketing communication plans each library put into place. 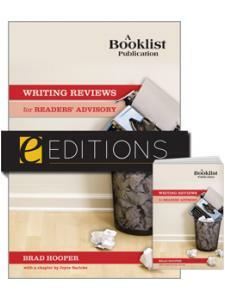 These are invaluable in providing the reader with down-to-earth knowledge of the concept and ideas, as well as providing comparisons to make with their own libraries and current practices ... With this book the authors have produced a tool the average library worker can both understand and put into practice. It clearly indicates the value of WOMM, the value of having a plan, the involvement of all staff members and the crucial need for communication both internally and externally, thus creating a buzz among both library staff and library clients." "With the popularity of social networking sites and userdriven content media, there is a tremendous opportunity for libraries of all sizes to build their own buzz with the support of their patrons ... While this book took almost no time to read, I have already added it to my bookshelf of useful resources. The principles and steps of word-of-mouth marketing are clearly defined, and there is plenty of inspiration to transform your customers into champions and start building your own library's buzz."